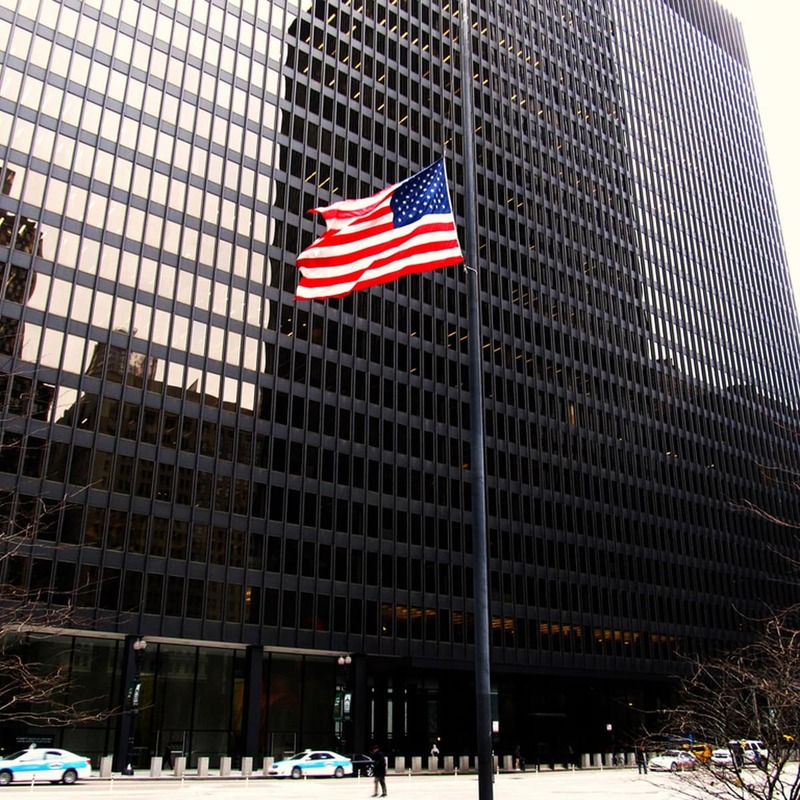 The 7th Circuit is a federal -level court of appeals based in Chicago, Illinois. Districts include all or parts of Wisconsin, Illinois, and Indiana. Eleven judges sit on the court. The 7th Circuit sits below the U.S. Supreme Court as a regional federal appeals court. Regional federal appeals courts may be found in 12 locations across the country, and there is one additional Federal Circuit Court of Appeals for patents, trade, and the like. Their positions and authority created by the Constitution, federal judges are appointed by the President and their positions ratified by Congress. These judges may occupy the bench for life. Assisting judges are magistrates with variable terms. In these courts, federal appeals judges hear cases and hand down decisions without using a jury. At this level the appellate or circuit courts preside over the 94 U.S. District Courts within their regions. In the 7th Circuit the federal district court jurisdictions include three in Illinois and two each in Indiana and Wisconsin. Both civil and criminal cases are heard by 7th Circuit judges, whether weighing evidence of felony charges, those with penalties exceeding $75,000, or cases involving people from one or more states or country (like class action lawsuits). A local “rule” requires parties to civil suits to attempt resolving their dispute through mediation prior to a trial. Litigants may also waive a jury trial and ask a judge to decide their case. If either party disagrees with any district court decision it may be appealed to the circuit court with jurisdiction. The 7th Circuit appeals court presides over the seven district courts within its region. In disputed cases, decisions made by one of the U.S. district courts and appealed to the7th Circuit may end up before the U.S. Supreme Court if the that court seeks it out or if a successful petition to the Supreme Court results in a review the circuit court’s judgement. Statistics show that the U.S. Supreme Court receives few of its cases from the 7thCircuit, recently taking two cases to review but not acting on either. Most other U.S. Circuit courts experience about a 50 percent reversal rate among cases reviewed by the Supreme Court. In the last five years the 7th Circuit has begun each session with about 1,800 cases on its docket and around 3,000 more are filed each year. Of those, nearly 3,000 are terminated and each judge writes about 130 decisions per year. In November 2015, the 7th Circuit struck a blow against state-level laws that restricted access to abortions, called TRAP laws. Designed to legislate abortion clinics out of business, the restrictions often attempted to impose mandatory waiting periods, forced ultrasounds, and limitations on abortion providers, including requiring admitting privileges at nearby hospitals. Wisconsin had attempted to impose those restrictions but a district court and later the 7thCircuit Court threw them out as unjustified and not necessary for health care reasons. In 2016 the Supreme Court concurred, striking down Texas TRAP laws and declaring them unconstitutional. An illegal alien caused the 7th Circuit to take a close look at Second Amendment-protected rights, resulting in a broadened interpretation of the statute. In 2013 a citizen of Mexico was found in possession of ammunition, which a court determined was illegal. When the man appealed, the 7th Circuit Court upheld the Wisconsin district court decision that he was in violation of the law, but the justices’ opinion created a stir. The case caused the 7th Circuit justices to consider a 2008 decision, District of Columbia vs. Heller, and opined that even illegal aliens have some rights under the Second Amendment of the Constitution.